As the official festival camping for Netherlands Deathfest IV, we will be welcoming visitors of Netherlands Deathfest, this year for the first time. 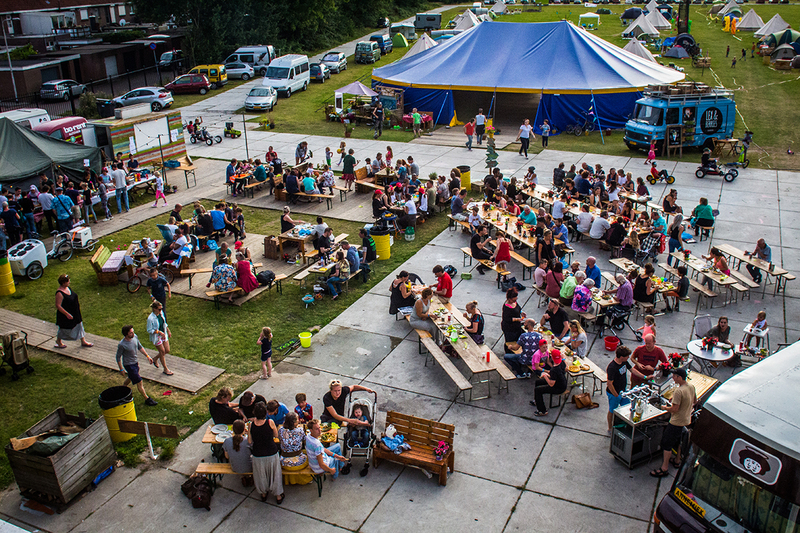 From May 3rd till the 6th of May, you will be able to place your tent and park your camper van on our camping grounds, so you can enjoy Netherlands Deathfest in its full glory. 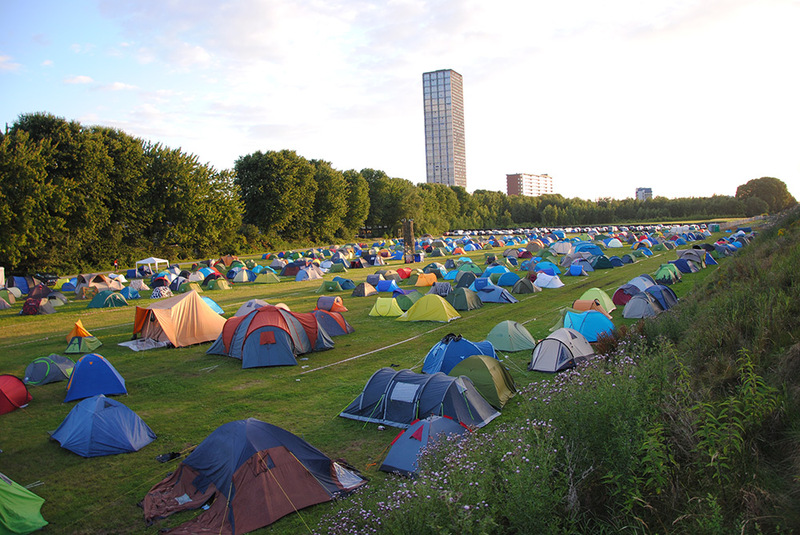 Stadscamping Tilburg is a small non-profit foundation in Tilburg, that provides event campings for smaller and bigger festivals in Tilburg. Netherlands Deathfest is a passion project for us, as many of our volunteers love the same music as you do. 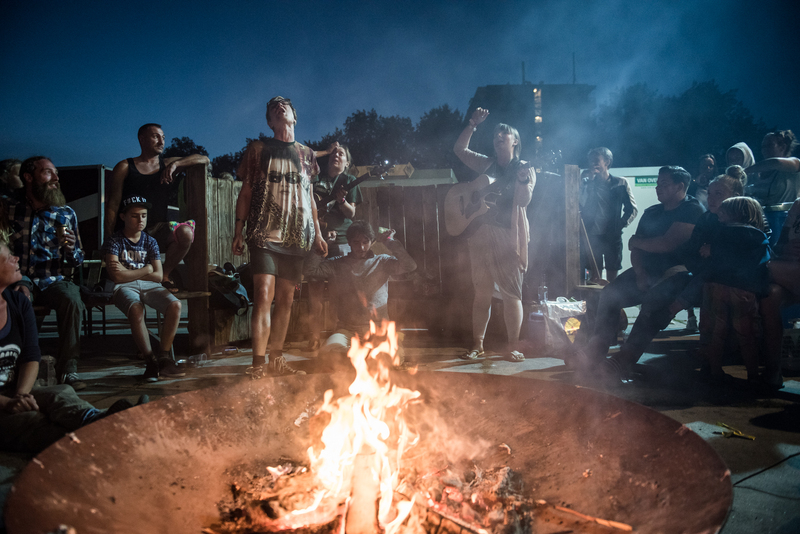 During the Netherlands Deathfest Urban Campsite, we strive to provide you with the best camping experience, we can possibly provide for you. The campsite is located in the new Spoorpark. 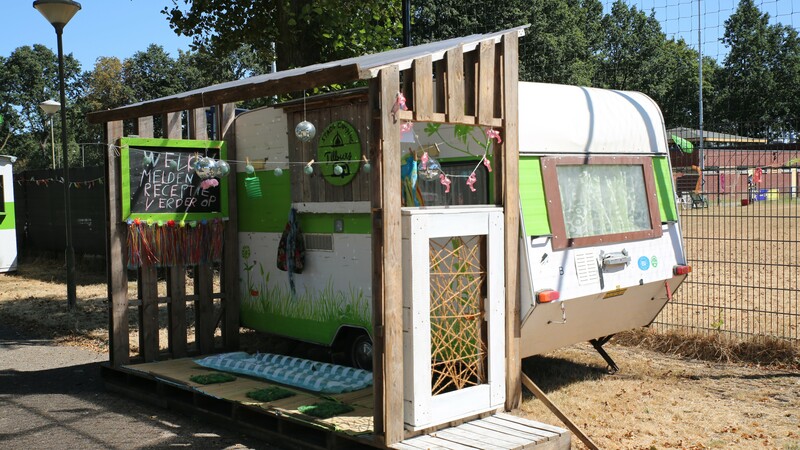 Stadscamping Tilburg will be opened from Friday the 3rd of May 12 AM until Monday the 6th of May 12 AM. Once you’re on the camping site, you can rent a bike to go to the festival. We also serve good coffee and a delicious breakfast! Please note – you do need to buy both a festival ticket and a campsite ticket, since the campsite ticket is not included in the festival ticket. If you come with a camper van you need an complimentary camper ticket for your van. A 1 night camping ticket will cost: € 17,50 + € 0,79 service fee. A 3 nights camping ticket from Friday until Monday will cost: € 40,00 + € 0,79 service fee. A complimentary camper ticket will cost: € 15 + € 0,59 service fee. € 280,00 + € 0,79 service fee. The Festipi looks great on the outside and are comfy to stay on the inside! With a height of 2.5 meters, you can easily stand in this tent. Every Festipi has an unique art on its canvas, inspired by popular culture. Just like the traditional North-American tipi, these tipi’s enjoy perfect air circulation, so the tipi will remain pleasantly cool during a hot day and pleasantly warm during a cold night. 2x thick Nomad 10.0 Sleeping mats. 2x soft JYSK pillows, including clean pillowcases. 2x thick Nomad Bronco sleepingbags. 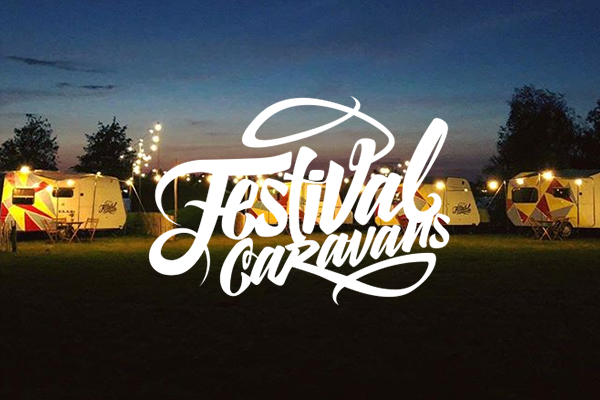 Festivalcaravan is one of the more luxurious festival accommodation we have on our camping site. 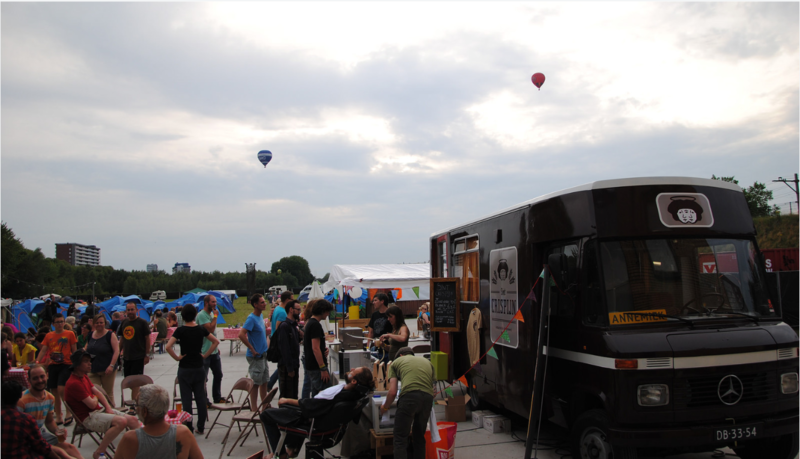 By booking a relaxed stay in a Festivalcaravan, you will have the best of both worlds. The comfort of a caravan and the atmosphere of Netherlands Deathfest. The rooms are suitable for two, three or four people and you will be provided with comfortable beds, electricity, a table and chairs, a storage and a lockable door to keep your belongings safe. The official Netherlands Deathfest IV Campsite, meeting place for all. Freshly prepared breakfast with coffee and tea. Charging point for mobile phones. Electricity for caravans & campers. Washbasins and showers with clean, cold and hot water. Netherlands Deathfest IV is close! 20 min of walking and 5 minutes by bike.